So we’ve been asked by our good friends at O Beach to do a little blog especially for you guys on this Valentines Day. The brief was to list some of our favourite and most romantic spots in Ibiza which shouldn’t be too hard a task as this beautiful island offers an abundance of romantic spots where love puppies can hang out and talk to each other in those soppy voices you only share with your partner (note to self: put some disclaimer here). 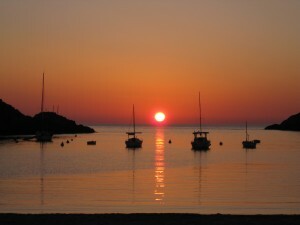 Ah yes, what would Ibiza be without the legendary sunset? However if you want a romantic sunset, you would probably be best advised to avoid the sunset strip and head up a cliff somewhere. Cala Gracio, Cala Salada or either of the adjacent cliffs at Cala Vadella beach would be perfect. During the summertime, there will only be a handful of people at any of these spots and you can cosy up to your ‘significant other’ and enjoy a romantic sunset. Last week we went down to Cala Conta to watch the sunset and we were the only two people there. Obviously a totally different beast in the summer, but nonetheless a romantic sunset! The highest point of the island which boasts panoramic views of Ibiza, and therefore also a great sunset spot. This is a must for anybody that loves Ibiza but has not yet been up Sa Talaia. 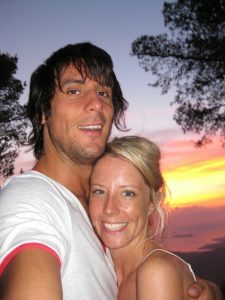 Get to the top of the mountain, find a spot, then chill out and enjoy the view with your loved one. 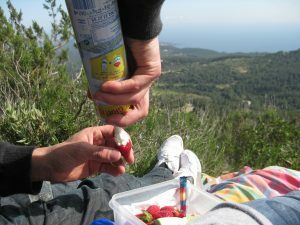 As an extra smooth move, stop off in the supermarket on the way there and grab yourself a box of strawberries and a can of squirty cream, then hand feed your partner strawberries and cream one by one. Domestic bliss! To get there, head to San Josep, then follow signs to Sa Talaia. Once you turn left onto the dirt track, just keep heading up the hill. 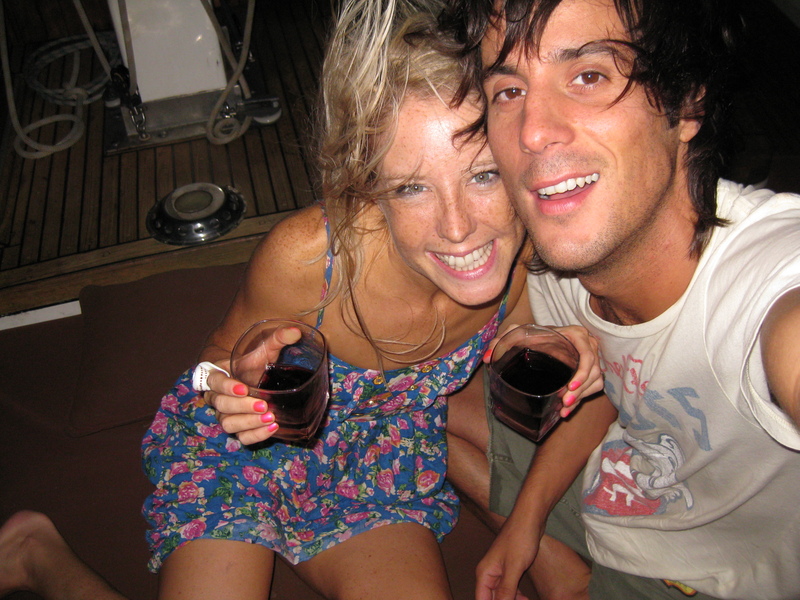 One year I donned the wife up and surprised her for her birthday by hiring a boat out one evening and we headed off to Formentera for a romantic meal at the internationally renowned Juan y Andrea. It was extremely romantic and was a special evening we’ll never forget. Another great restaurant we discovered there last year is Ca Na Joana which was another special evening. 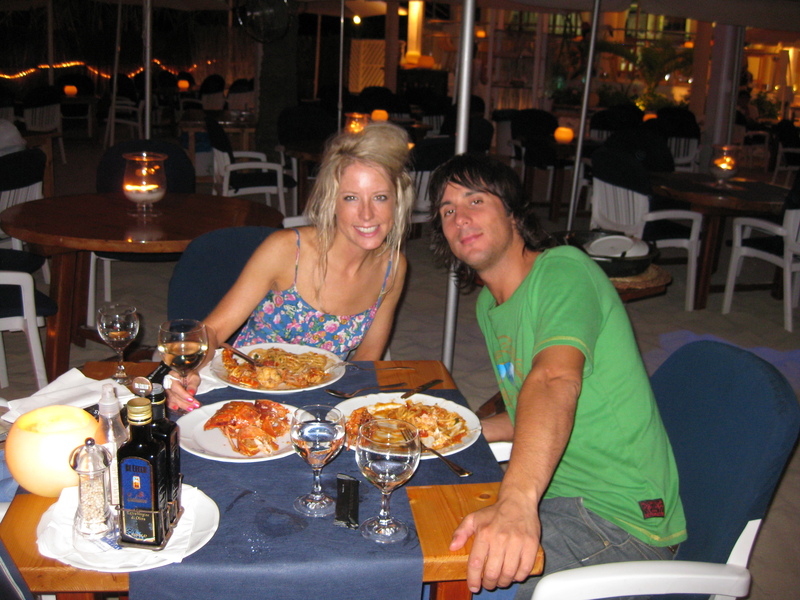 Finally, our favourite restaurant in Ibiza where we love to go for a meal just the two us, Can Domingo. Everything about this place really does make it the perfect spot for a romantic meal with your loved one. The setting, the food, the service, the wines and every other box you can think of are all firmly ticked with this little winner. We cannot recommend it enough. We hope you enjoy these places and remember love is the message. Happy Valentines Day people!